Why You're Here. Why I'm Here. "I Will Teach You What YOU Want to Learn!" Call me crazy. I believe that your guitar lesson should continue after you leave. I'll say that again later so you don't forget. Standard guitar lessons are fine. But they miss all the detail once you go home for the week. Guitar lessons are about learning and remembering everything you learned from week to week for years to come. And hey, there's good news. 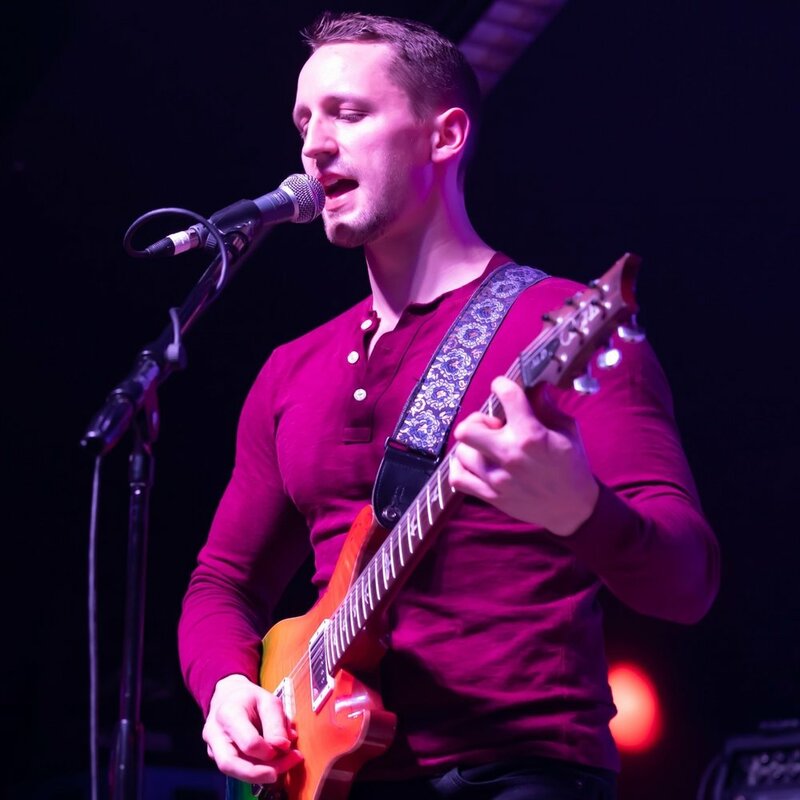 With lessons at the Gurnee Guitar Academy you'll learn a ton of songs, and you'll have videos of what you learned in your lesson ready to watch when you need them most. Still not sure? 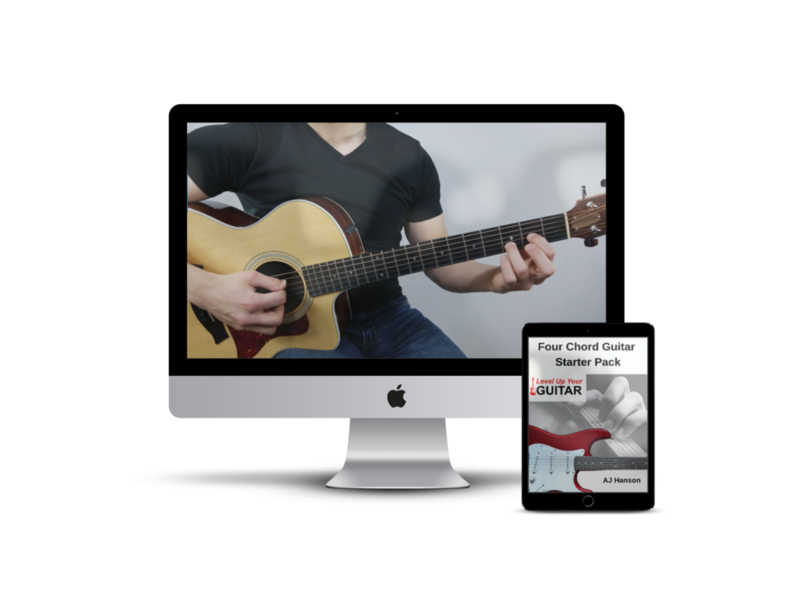 See for yourself by signing up for a TRIAL GUITAR LESSON including a Four Chord Guitar Starter Pack with video lessons! 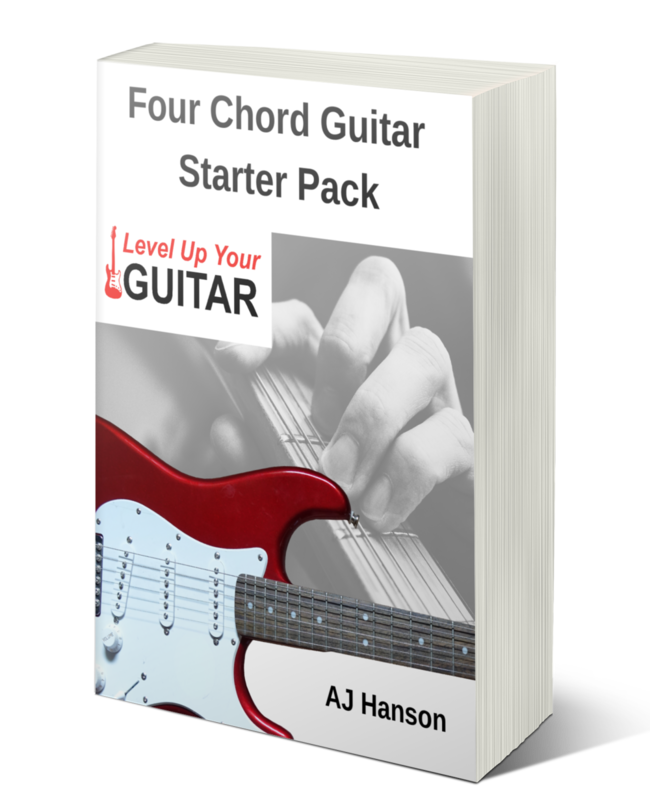 Download the Four Chord Guitar Starter Pack below! Some people are interested in my backstory. Here it is in under a minute. I was six years old when I got my first guitar. I didn't stick with practicing, so I stopped, but I always dreamed about playing guitar. When I turned 12, I saw Eric Clapton play, the next week I got a used Fender Strat and took lessons right away. After two years of lesson in blues and rock I made the switch to classical lessons. I knew my calling was to study music in college. I auditioned at Carthage College in Kenosha, and received the top music scholarship and graduated with degrees in Classical Guitar Performance and Jazz Studies. From there my knowledge of music exploded. Three months after college I felt the need to get back to my electric guitar roots so I auditioned and received another scholarship for Masters classes from Berklee College of Music where I studied with Jon Finn, John Stowell, and Dave Martone. After Berklee, I came out with a new focus and my own voice in music. With all the styles I had learned I decided I wanted to start a Progressive Rock Band. Since then, I've written and recorded several songs and am working on releasing them all. I have taught for 20 years in some of the best music schools in Illinois and was always the busiest teacher. The better of a teacher I became the more I fell in love with teaching. The problem, I was giving my students 100% of me, but without the technology, they weren't getting 100% of the education. Then I asked myself, "How can I do even better?" I had ALL of the tools at home. All the books, mp3's, computer programs, even my own recording studio! That's when I decided turn my home into the Gurnee Guitar Academy. You might not ever know how thankful I am for this opportunity to be teaching you, helping you, mentoring you. I spend a lot of time outside of guitar lessons creating new exercises and recording high quality videos of them. With over 400 of my own exercises made from scratch, over 400 videos, and more than 2,000 famous songs ready to be printed and taught in seconds. My students have seen crazy amounts of success, enthusiasm, and love for the guitar. By going the extra mile with the videos and digital sheet music it changed my mindset about guitar lessons forever. Your Guitar Lesson Should Continue After You Leave. The Gurnee Guitar Academy has become more than a dream for me. It's more like a calling. And it's extremely humbling. So when I say I'm grateful for you... You can be assured that I really mean it. I play and teach Rock, Blues, Jazz, Classical, Fusion, Progressive Rock, Metal, Flamenco, Folk, Country, and Pop. 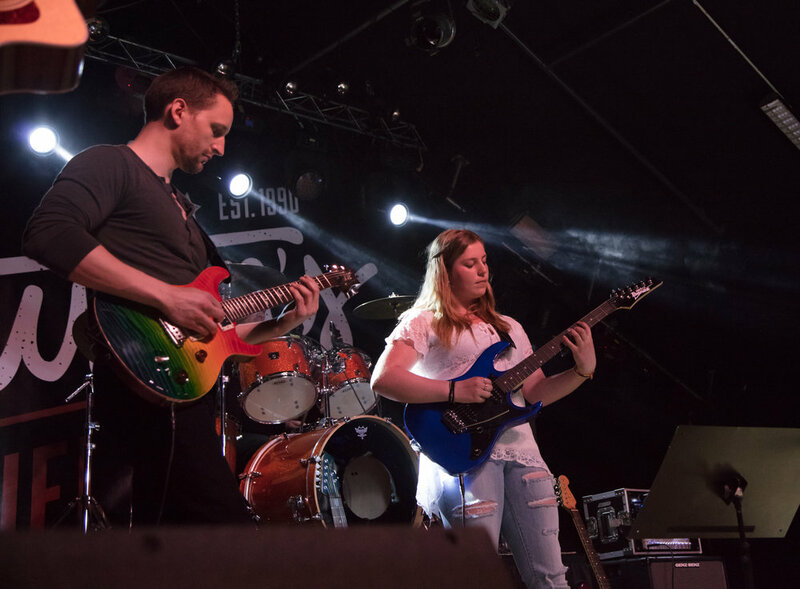 My guitar influences include Jimmy Page, John Petrucci, Eric Clapton, David Gilmour, Steve Morse, Alex Lifeson, Al Di Meola, Steve Howe, Steve Hackett, Tosin Abasi, Guthrie Govan, MUSE, The Moody Blues, The Lumineers, Mumford and Sons, The Beatles, Opeth, B.B. King, Buddy Guy, Joe Pass, Wes Montgomery, Freddie Green, George Benson, John Scofield, Django Reinhardt, Paco De Lucia, Julian Bream, Christopher Parkening, John Williams, Fransisco Tarrega, and Andres Segovia. I am also influenced by other musicians (non-guitarists) and composers as well, such as, Dave Brubeck, Miles Davis, Sonny Rollins, Duke Ellington, Count Basie, Bob Dylan, Cat Stevens, Freddie Mercury, Frank Zappa, Peter Gabriel, Franz Schubert, Claude DeBussy, and of course Bach, Mozart and Beethoven. I am currently writing a series of guitar method books and online courses. "You know that new sound you're looking for? Well listen to this!"